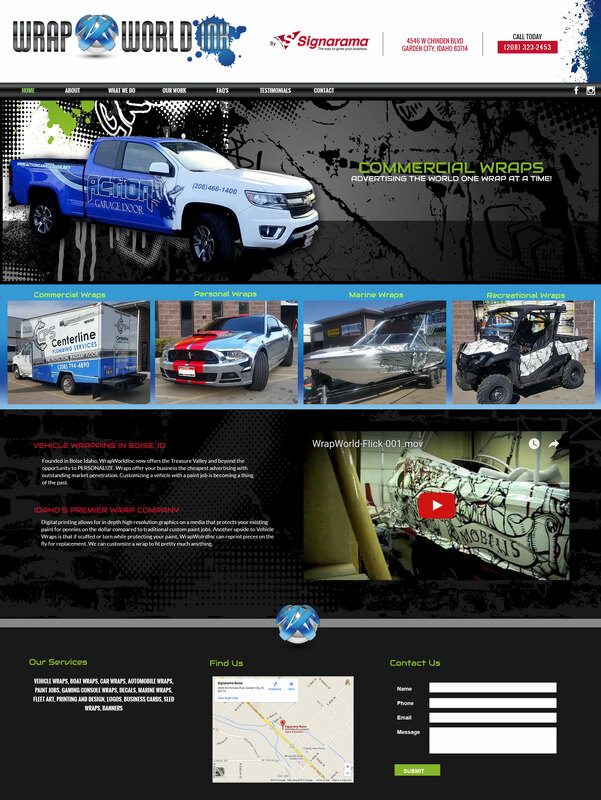 At Wrap World we provide Digital printing allows for in depth high resolution graphics on a media that protects your existing paint for pennies on the dollar compared to traditional custom paint jobs. Another upside to Vehicle Wraps is that if scuffed or torn while protecting your paint, Wrap World Inc. can reprint pieces on the fly for replacement. We can customize a wrap to fit pretty much anything.